King’s House is a prominent Grade II building located on Hove Seafront. Built in the 1870’s, this was the key building in a larger Victorian residential master plan for the Avenues area, set to attract wealthy Victorian Londoner’s to this high end seaside living. 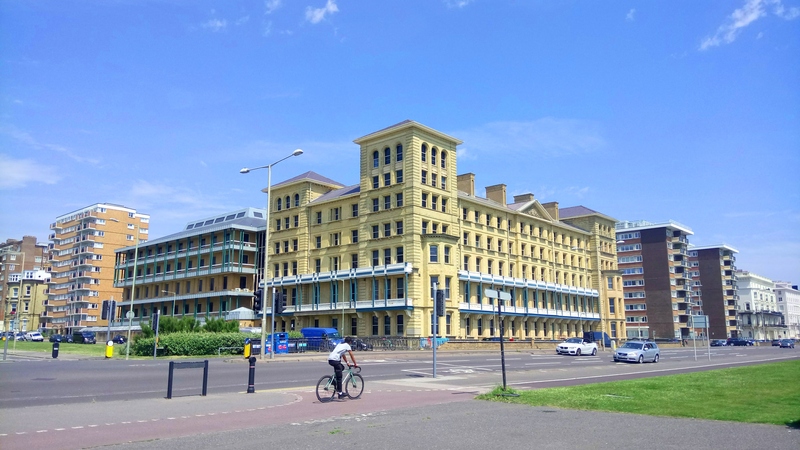 Over time the building has subsequently been used as the Princes Hotel, WWII Navy Training base and office headquarters for SEEBoard & Brighton and Hove City Council. 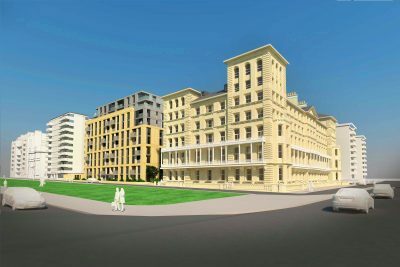 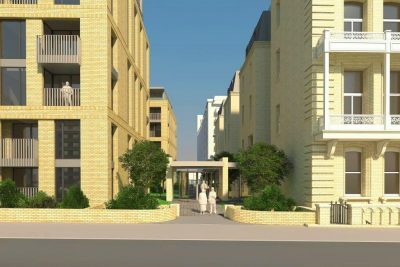 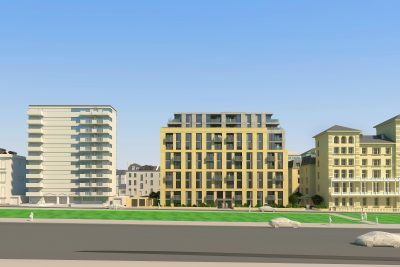 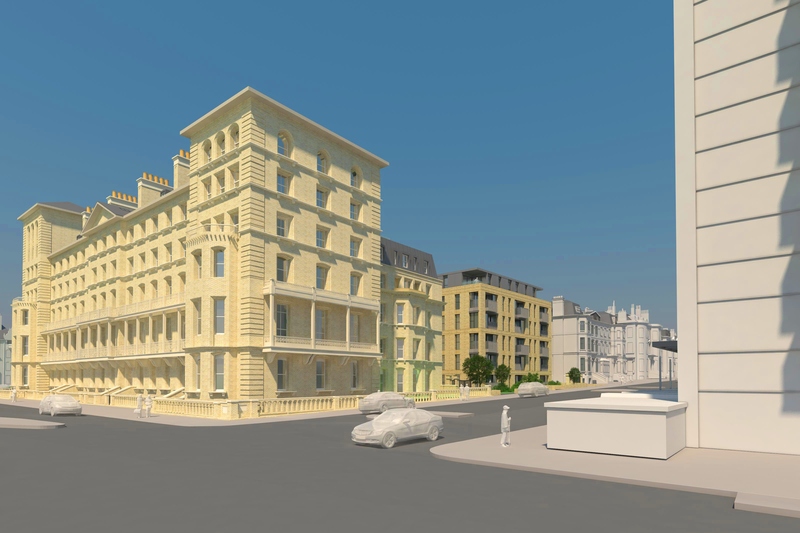 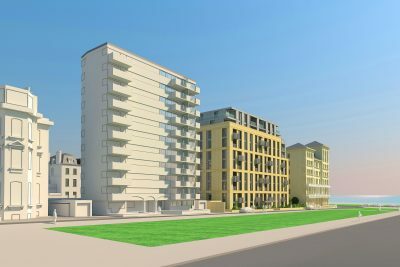 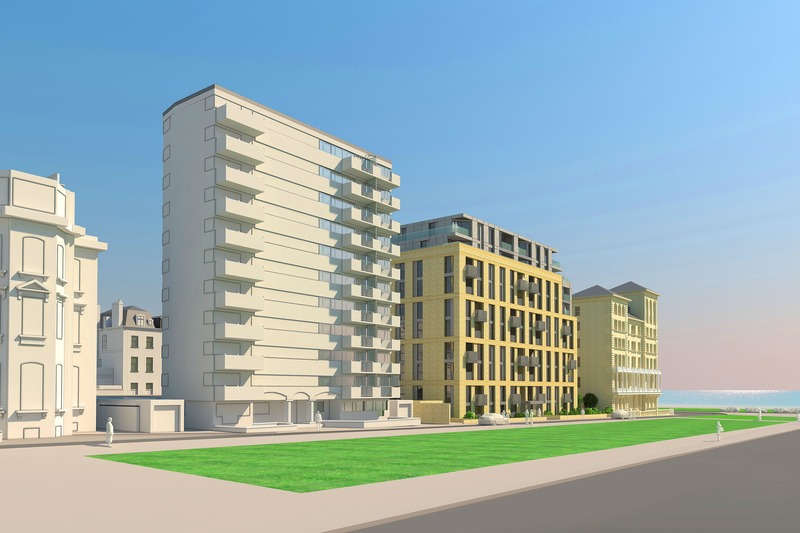 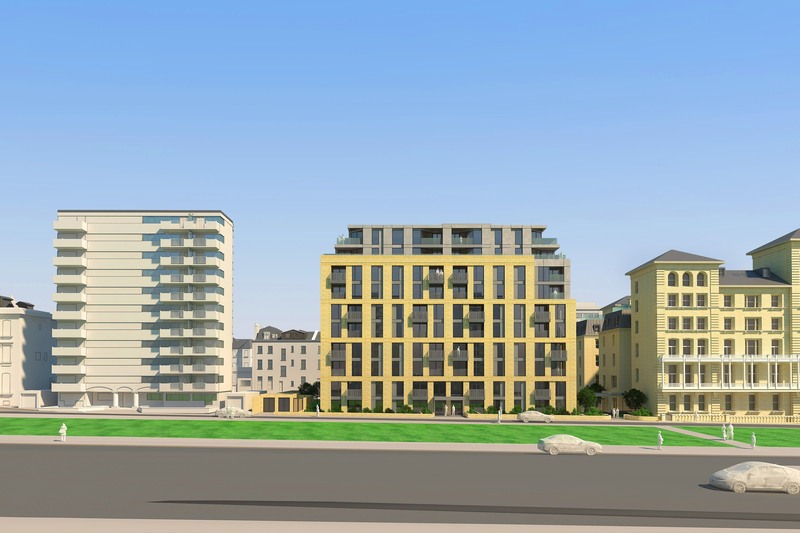 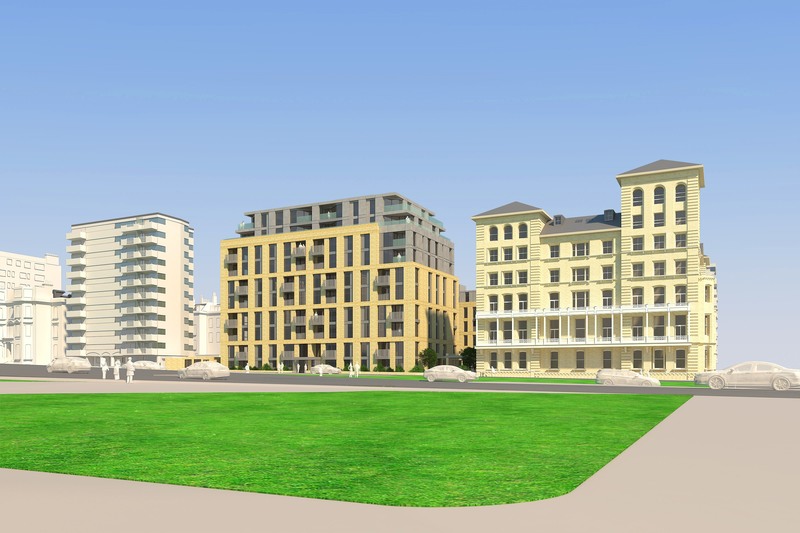 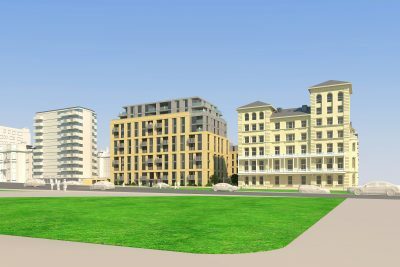 The proposal is to return it to its former residential use in the form of 70 new seafront apartments. 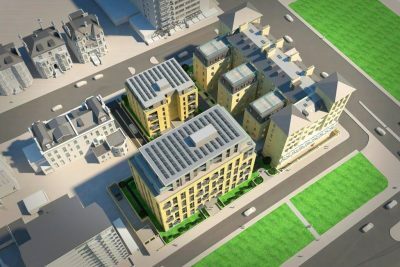 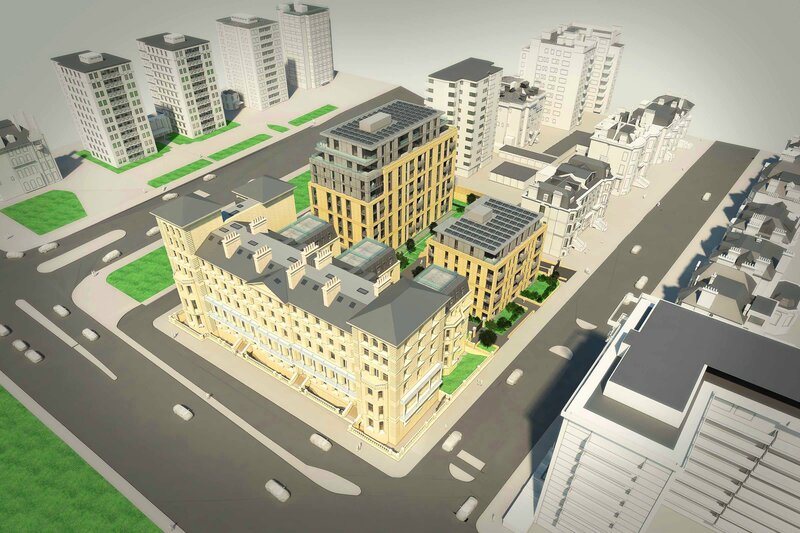 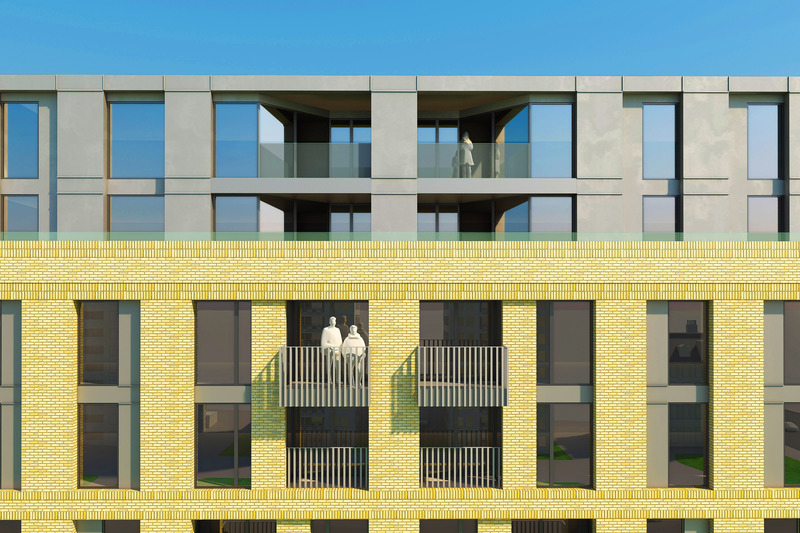 There are also two new residential buildings planned to the rear of the King’s House building; one 10 storey block containing 72 apartments, replacing the 1980’s office extension on Grand Avenue and a smaller 6 storey building containing 28 apartments infilling the open car park on 2nd Avenue. This will also include a much expanded below ground parking areas. Working with Dowsett Mayhew Planning Partnership planning approval for the project is now gained and work is due to start on site in early 2019.